Our Unsmoked ham on the bone was made using an old, traditional method of curing whereby the pork leg is immersed in brine for several days. 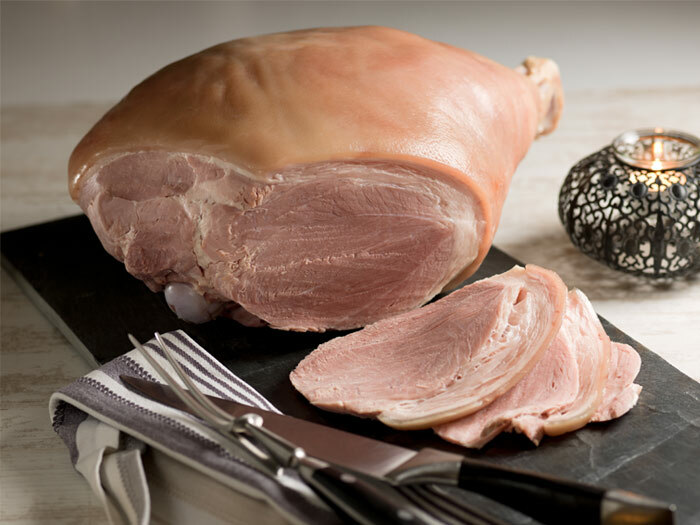 All our hams are steam cooked which gives them a wonderfully moist but never wet texture. The recipe for these hams comes from Michael Horgan who is the third generation of a butchering family which was founded by his grandfather in Mitchelstown, Co. Cork in 1921. Since then the Horgan family name has been synonymous with premium quality meats. 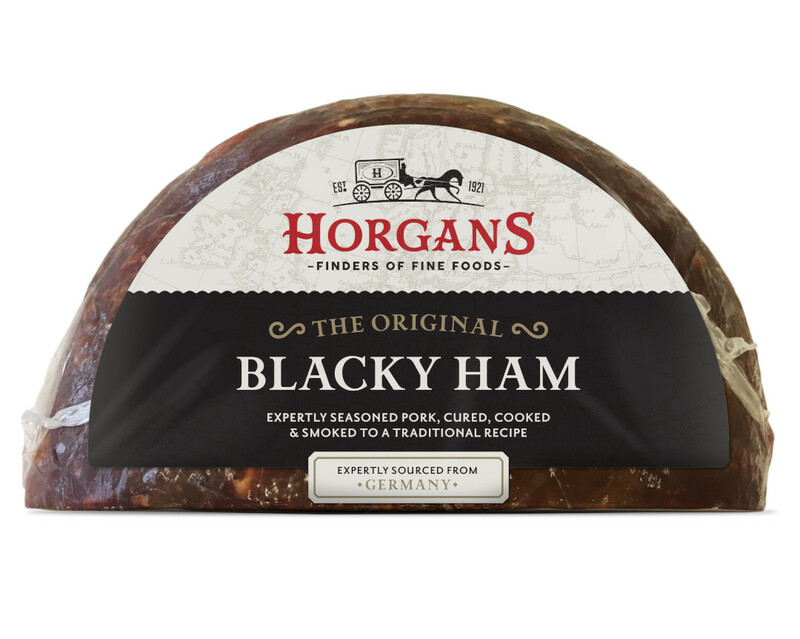 All Horgan’s hams are specially selected and locally sourced from quality Irish farms. By choosing Horgan’s ham you are supporting the Irish farming industry and keeping jobs in Ireland. Irish pork is produced to some of the highest standards in the world and we are happy to put our name on the product. 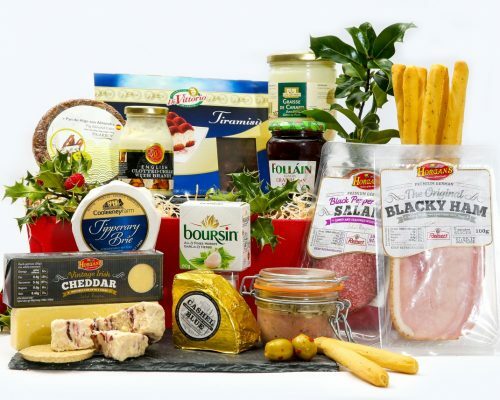 If you care about where your food comes from and want to be sure that you will enjoy every bite…….choose a Horgan’s ham. 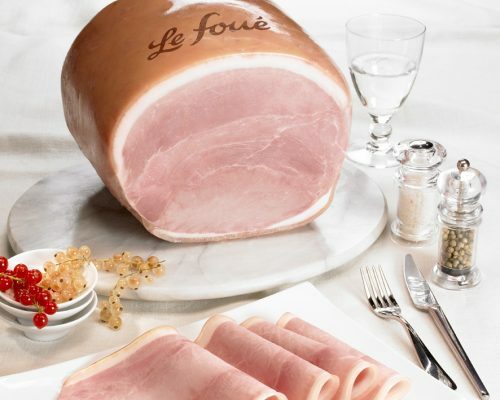 Remove the ham from the packaging and place it on a plate. Take note of the use by date and put the ham in the fridge. Make sure that cooked meat is always stored on a shelf above raw meat to avoid contamination. Cover loosely with kitchen foil, cling film or a clean tea cloth. Change the plate that the ham is on every day and replace the cling film or kitchen foil, to stop a build up of moisture under the ham. Any surplus can be frozen – slice it into manageable portions and place in freezer bags. This way you can defrost small amounts when you need it rather than defrost the whole ham. To defrost put it in the fridge to thaw slowly overnight. Never immerse in warm water to defrost. Place ham in shallow roasting pan. Cover with foil. Bake at 180°C for approximately 5 minutes per kilo until heated through. Remove ham from oven; let stand, covered, for 10 to 15 minutes before carving. 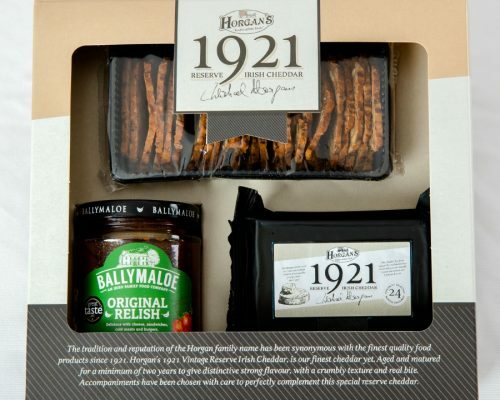 All Horgan’s hams are specially selected and locally sourced from quality Irish farms. By choosing Horgan’s hams you are supporting the Irish farming industry and keeping jobs in Ireland. Before you start you need a long, thin, sharp carving knife. Place the ham on a stable carving surface or ham stand. Step 1. This shows the different cuts that will be made to the ham. ‘A’ is the first piece to slice. The meat should be cut parallel to the thighbone. Step 2. Hold the knuckle of the ham to stop it from moving and slice the section marked ‘A’. Step 3. Keep taking slices until you come up to the thighbone. Step 4. Now start to slice section ‘B’. Remove the corner of fat in one piece, then cut squarely to the thighbone. This will remove any of the hard outer flesh. Step 5. Slices can now be taken from section ‘C’, which is where the prime and juiciest meat is found. Step 6. Once you have finished carving the ham there should be very little left on the bone. A fresh new look for the Horgan’s branded range. The Irish Times – Skyr’s the Limit!